It is inscribed with the words “Alwt and Wlt” which, according to Professor Aaron Demsky, coincide with the name Goliath. 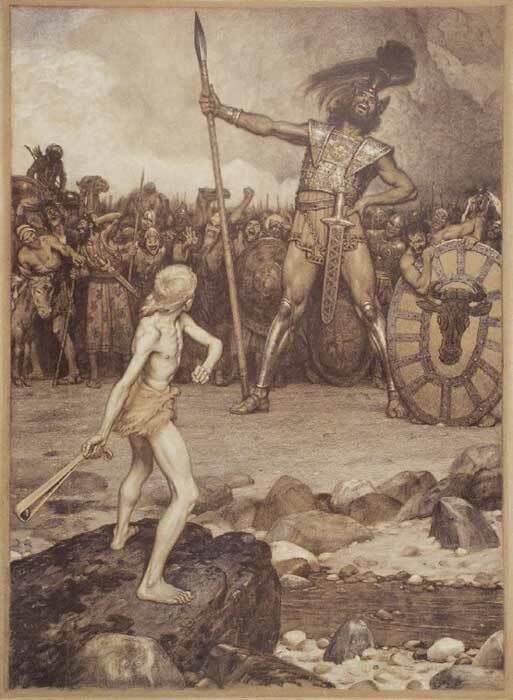 Alwt and Wlt are non-Semitic names which are etymologically similar to the name Goliath. Studies confirm that the carving was made around 950 BC, which would put it within 70 years of when biblical scholars believe this historic fight occurred. The research team—including Indonesian paleoanthropologist Professor T. Jacob—dubbed the small race Homo floresiensis , named after the Indonesian island of Flores where the skeletons were uncovered. Some say these hobbits still roam the jungle, prompting many visitors to the island in recent years in search of a myth incarnate. If these races of various size did exist, why three sizes, and where did the other two go? 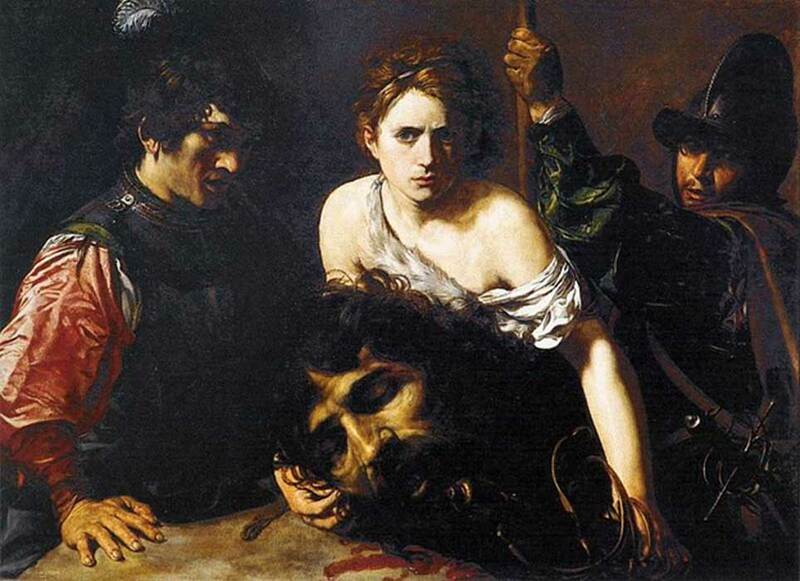 Did they have amicable or hostile social relations with our ancestry? Did they help each other? Ignore each other? What social structures did they have? For now we can only look to the stories of the distant past and wonder how many more myths are waiting to reveal themselves with concrete evidence. The article ‘ The Theory of ‘Three Human Species’ ’ was originally published on The Epoch Times and has been republished with permission. These claims of giants have been completely debunked. We need better articles than these. The claims about giants have all been proven false or failed to provide enough evidence to change our archeological and even paleontological understanding of the world. For example, the where are the ancestors of the giants in the fossil record? I have often heard it suggested that there is a massive conspiracy to keep us from knowing about some giant race but that would involve thousands if not millions of people and for what end? This article even references a great example of when science has changed when presented with new evidence Homo floresiensis, they offer a great example of island dwarfism and how it affects even people. This is a relatively new theory that still has controversy swirling around it yet science is still wing to debate it. 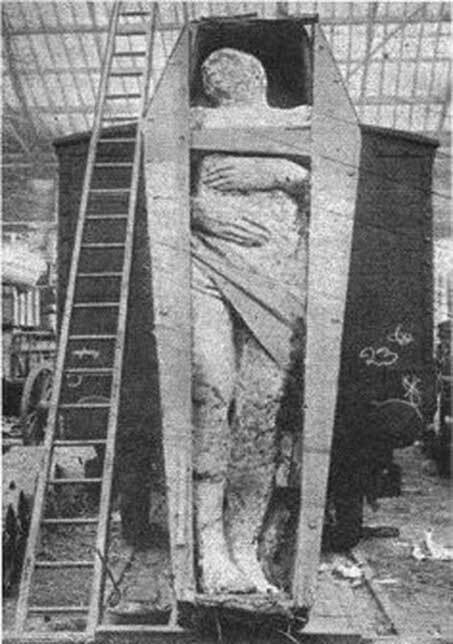 Not to mention that the ‘Fossilized Irish giant’ presented here was proven to be fake in the 1890's its nothing more than a plaster sculpture. The teeth as mentioned have also been disproven most of them are horse and pig teeth or is some cases forgeries. I appreciate the enthusiasm but there are interesting and real things to study. The above comments are utterly absurd and only succeed in revealing their narrow minded ignorance. Not all giant claims have been "debunk". Far from it. I regularly see these pompous comments and claims wherever I come across anything concerning giants, yet nothing to back their claims up with. Simply their haughty "debunked" declaration, because... When in reality they are just regurgitating what others have claimed and perpetuated in the same exact manor. It's like a feed back loop in an echo chamber of idiocy. Especially because it's quite simple to research the subject on the internet and come up with substantiating evidence that giants have in deed existed. But, do they even bother to put 5mins into it? I doubt it.